The winter months are, of course, the trickiest ones! 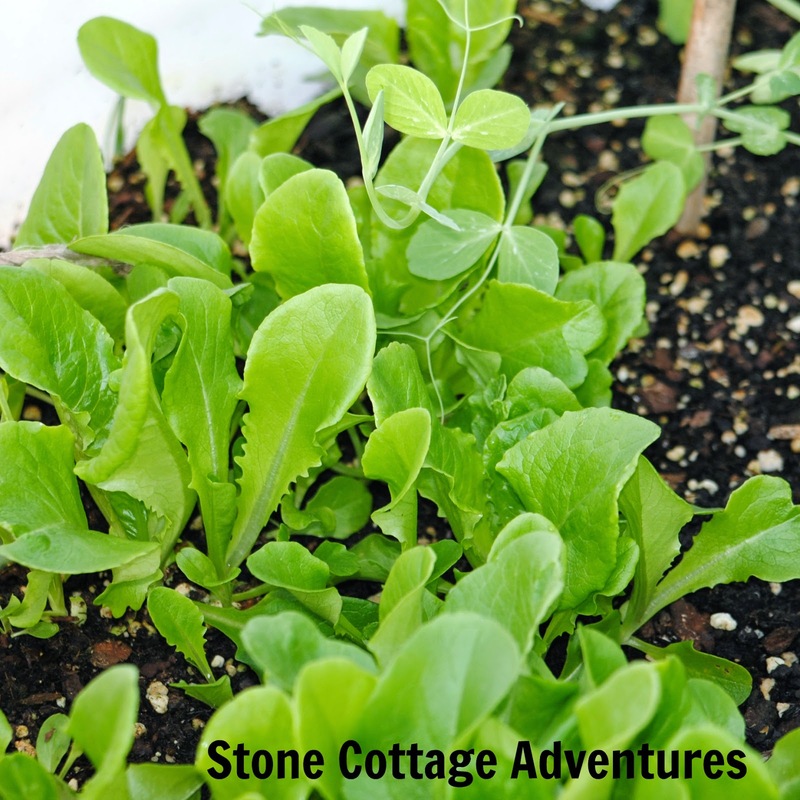 I wrote the goal to challenge myself to use the greenhouse for more than just winter storage. Harvesting something from a seed that I planted is so very gratifying, especially in mid-March! Check out this lettuce! Isn't it pretty?! It's tasty, too! How do I grow it? Well, Handsome Husband cut a 55 gallon barrel in half and filled it with soil. with snow peas toward the back. For climbing we have bamboo stakes and some cattle panel. 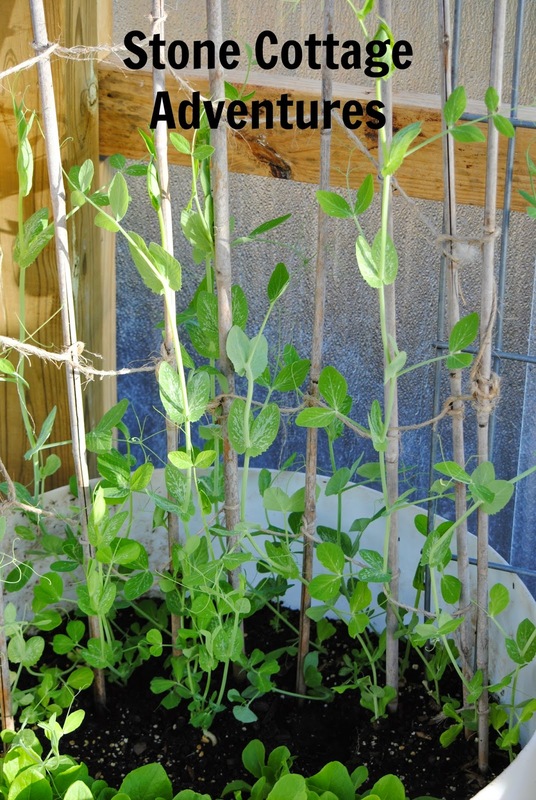 The peas are currently about two feet tall. What do you plan to grow this year? I can't wait until I can get in my garden. Dreaming of a greenhouse one day! What a great 20 wishes. I can't wait to see how everything turns out. I loved gardening. Wish we could do it where I live however it's just not possible. This looks wonderful! i love sweet peas! I dream of having a garden . . .some day! Thank you for sharing your post with us on Brag About It! Everything looks so fresh and healthy. You definitely have a green thumb, dear Marci. So glad you shared this with ROI. Happy Hugs! I would love to grow some vegetables - carrots, cucumbers, beans, tomatoes, and some herbs! Your garden is flourishing!! Thanks for linking up with us at Home Matters linky party!!!! Hope to see you again soon! Wow...looks great! I'm jealous....I so want a greenhouse! Thanks for linking up with Green Thumb Thursday! I'd love it if you'd link up again this week!